KFC Romania: trolls Rich Kids. 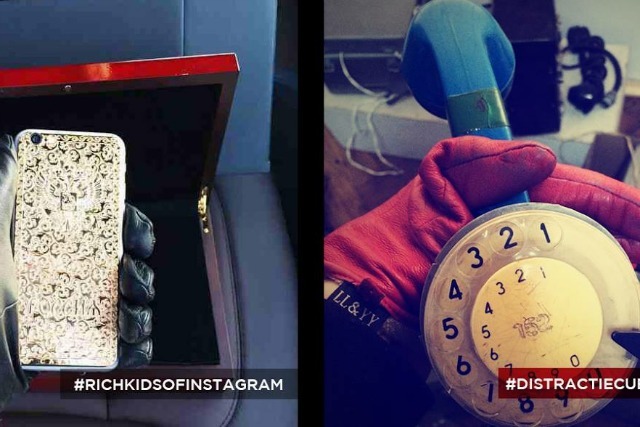 KFC has its sights set on the so-called "rich kids" of Instagram, with a campaign that recreates some of their nauseating images with added fried chicken. The campaign promotes the Smart Menu, a low-priced KFC meal deal in Romania. The activity was created by MRM Romania. Romanian youngsters are encouraged to check the #richkidsofinstagram poses on Instagram, and recreate some of those pictures in a rather more low-key setting with the hashtag #distractiepebaniputini (which translates from the Romanian as "fun with little money"). Romanian KFC fans have replaced diamonds with diamond tattoos, lions with cats, infinity pools with inflatable ones and private jets with toy planes. See some the latest #distractiepebaniputini images at the Tumblr page. The campaign was devised by the chief creative officer, Nir Refuah, the copywriter Sandra Bold and the art director Nadejda Ghilca.